Our job is to analyze, understand, measure, and prepare for what will reduce the value of your invested capital. The Biddle Johnston Wealth Management Team has over 75 years of combined experience serving wealth needs of businesses and individuals. We are committed to building solid, long lasting relationships with our clients. Keeping clients informed is a top priority for us; whether by email, phone or face to face meetings. This means providing access to a wealth of educational materials, promptly returning phone calls, and quickly following up on any administrative issues that may arise. It also involves monitoring accounts on an ongoing basis to take advantage of opportunities, and changing market conditions. We know that the most effective wealth management advisory relationships start long before we look at the numbers. It starts with a highly methodical, structured approach to wealth management. Our process has been honed and refined to help clients achieve their financial goals. We take the time to discuss and understand your values, your aspirations, your current situation and how these affect the people that matter most in your life. We focus on matching clients’ portfolios to their personal goals, objectives, and time frames. 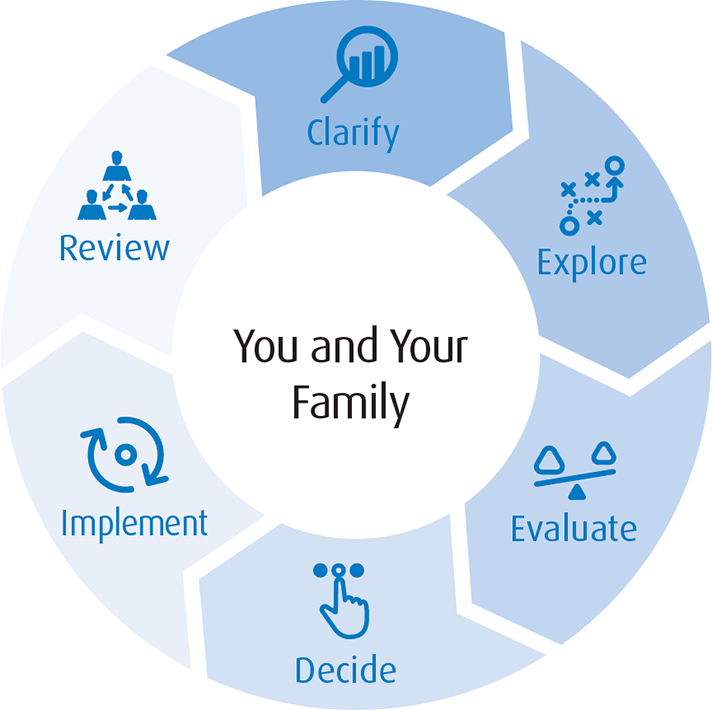 During this discovery process we focus on goal based planning and estate planning. What goals do you have that require planning, money and time to accomplish? Your spouse or dependents will be financially secure? Your family will maintain their standard of living? Income taxes and other costs will be minimized and funded? Your estate will be distributed as you intend? Your assets and investments will be maintained if you become physically or mentally incapacitated? For some investors, maintaining a traditional account simply does not suit their needs or lifestyles. These individuals prefer to enter into a relationship with a personal Portfolio Manager to take them to the next level of investing. You have the peace of mind that comes from having a direct connection to the people making the investment decisions in your portfolio. It is a win-win situation. You are directly in touch with your Portfolio Managers, yet are not required to oversee each decision. And, you have more time to pursue your other goals and interests. We welcome and sincerely appreciate referrals from our clients, and recognize that personal recommendations have been an important factor in our growth over the last 25 years.